Following the inauguration, the PM embarked on a road show. He waved at people, who had lined up along both sides of the road to catch a glimpse of the PM. 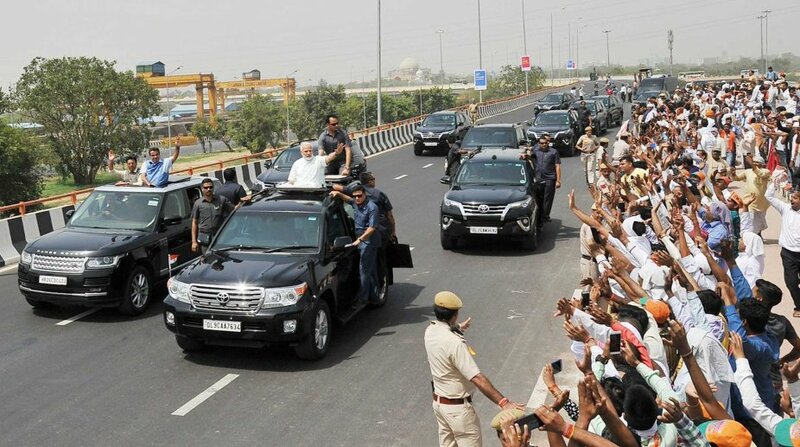 On a hot Sunday morning, the Prime Minister Narendra Modi inaugurated the first phase of the 14-lane Delhi-Meerut expressway from Nizamuddin Bridge in New Delhi before embarking on a short road show before heading for Baghpat to inaugurate the Eastern Peripheral Expressway (EPE). Accompanied by Union Minister of Road Transport and Highways Nitin Gadkari, Modi inspected a model of the expressway which will help reduce congestion in New Delhi by diverting traffic coming from Meerut. The expressway, which has been dubbed by the government as ‘Green Smart Expressway, has facilities such as rainwater harvesting and trees to help reduce pollution. A 2.5-metre-wide cycle track on either side of the highway, a vertical garden on the Yamuna Bridge, solar lighting system and watering of plants through drip irrigation only are among the unique features of the expressway. It is India’s first 14-lane expressway, which includes a 6-lane expressway and 4+4 service lanes. The 8.4-km access controlled expressway has been completed in a record time of 18 months as against the earlier expected construction period of 30 months, at a cost of about Rs 841 crore. The total length of the project is 82 km, of which the first 27.74 kms will be 14-laned, while the rest will be 6-lane expressway. The project is likely to cost Rs 4,975.17 crore. The project involves construction of 11 flyovers/interchanges, five major and 24 minor bridges, three ROBs (rail over bridges), 36 vehicular and 14 pedestrian underpasses. It will also have elevated section of 5.91 kms. 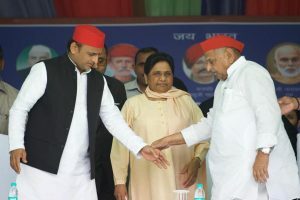 Once the entire project is complete, it will take just 60 minutes to travel from Delhi to Meerut. The foundation stone for the expressway was laid by the PM Modi on 31 December 2015.